Dr. O'Connor is a nationally recognized expert in the fields of political communication and telecommunications policy and applications. She is the author of numerous publications in both of these areas. She served eight years, by appointment of the Governor, the California Legislature, and the Superintendent of Public Instruction as chair of the California Educational Technology Committee. The committee had an annual budget of $16 million and was charged with infusing technology in California's K-12 schools. She also served for the 9 years as the elected chair of the Alliance for Public Technology, a Washington, DC, non-profit organization with over 250 members and an annual budget of $1 million, devoted to building constituencies on information age issues. Dr. O’Connor and five other consumer leaders founded the Alliance in 1989. She is the former chair of the California Public Broadcasting Commission by appointment of the Governor and founder of Capital Public Radio, Sacramento's Public Radio Station. She still serves on the executive committee of the board of directors. Dr. O'Connor was appointed by FCC chairman Al Sikes and reappointed twice by Chairman Reed Hundt to represent consumers on the Network Reliability and Interoperability Council. She served as one of eleven persons on Bellcore's Advisory Board and was one of 15 consumer leaders on ATT’s Consumer Advisory Panel from 1985-2009. She also serves on Verizon’s Consumer Collaborative Council. 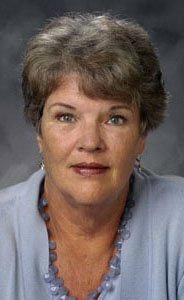 During her sabbatical in the Spring of 1996, Dr. O’Connor co-chaired the California Superintendent of Pubic Instruction’s California Educational Technology Industry Task Force. The group developed and built support with the Business Roundtable of California and the California Chamber of Commerce for an ambitious technology plan for K-12 schools. Dr. O'Connor has served as an expert consultant to McClatchy Newspapers, the Boston Globe Media Properties, the Tribune Company, The Washington Bureau of the Associated Press, The California Legislature, the Congress of the United States, The Federal Communications Commission, The Office of Technology Assessment, The U.S. Department of Commerce, National Public Radio, Time Inc. Cable Systems, Cablevision Systems Inc., Scripps Howard Cable, Pacific Bell, NYNEX, Ameritech, Bell Atlantic, G.T.E., Verizon, Pacific Gas and Electric, , The State Bar of California , the Soviet/American Journalists' Exchange Program, the Bay Area Telecommuting Development Partnership, Pennsylvania’ Center for Rural Networking, and Stentor Communications of Canada. Dr. O'Connor received her Ph.D. in Communications from the University of Southern California in 1974. She was featured in Newsweek’s 1995 “50 for the Future” a feature on the fifty people who will set policy and direction for global communications. She was honored with an outstanding teaching award by California State University in 1990 and received the California State University Alumni Distinguished Professor Award in 1994. In October 1996, Dr. O’Connor received the Computer Using Educator’s highest recognition when they presented her with their Technology Leadership award at their annual conference in Santa Clara. In Feb. 1998 she received the Technology Pioneer Award for her 15 years of public advocacy in telecommunications policy. In 2008, the faculty at California State University gave her the lifetime community service award. Dr. O’Connor has always blended her teaching, research and community service into a consistent commitment to explain the role of media in society and its impact on citizens, institutions and the democratic process. She directed the programs of the Institute for 20 years, which included administering several research grants Recent projects have included: Ten Telecommunications Graduate Fellowships funded by the California Public Utilities Commission, the Sacramento County Communications Audit and Web Portal development project, an analysis of local television coverage of election issues with Common Cause and an analysis of the efficacy of advertising aimed at electrical energy consumption and power saving appliances. She chaired an international effort by ETS, to develop a framework for ICT literacy measurement and then served on a national council to develop their ICT Literacy Assessment Exam. Most recently, Dr. O’Connor was appointed to represent the CSU system on the National ICT Policy Council and she was appointed to the board of directors for the California Emerging Technology Fund by the California Public Utilities Commission. She serves as an officer and Director of the Fund. Dr. O’Connor completied a three year, foundation funded (Hewlett, Irvine, Spenser and Stuart},joint system project to develop and launch “Brokers of Expertise”, which is a comprehensive K-12 teacher portal. Most recently, Dr. O’Connor was elected to the board of directors of AARP in Washington DC. She retired from the University in 2010. Dr. O’Connor received her Ph.D. from the Annenberg School of Communications at the University of Southern California and was born in Odessa , Texas.